I know, I know that this isn’t exactly a stellar picture. But I’m including it since it contains two rather rare airplanes in a rare setting, that it’s impossible to get shots of today. 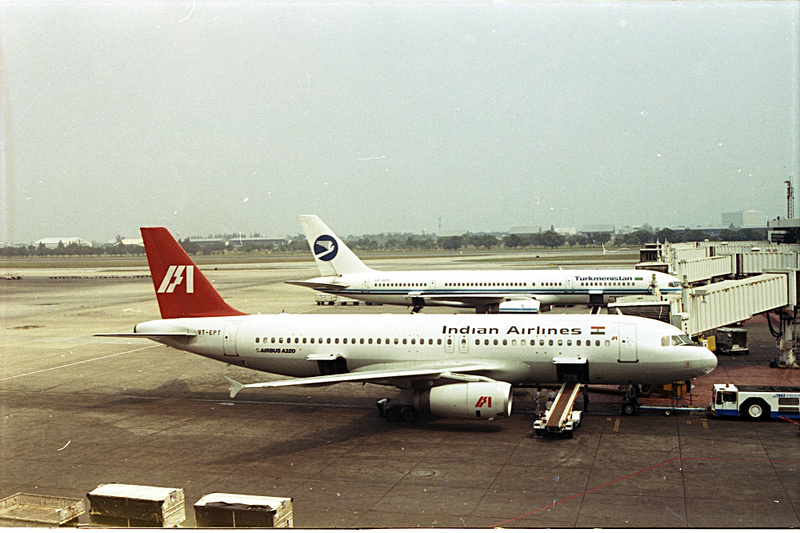 The airplane in the front is VT-EPT, an Airbus A320-231 which operated for Indian Airlines from delivery in September 1990 until January 2005. The airline has since merged into Air India and thus does not exist anymore. The airplane in the back is EZ-A011, a Boeing 757-22K that operated for Turkmenistan Airlines from delivery in August 1996 to August 2014. The picture is taken at Bangkok’s Don Mueang airport, prior to the opening of Suvarnabhumi airport. Don Mueang today serves as a secondary airport with only a handful of flights.